The first product I've been reaching for following makeup removal is the Gold Elements Intensive Multi Task Facial Cleanser. Not only does this cleanser help remove any leftover impurities, but it also acts as a light scrub thanks to apricot seed powder which helps slough off dead skin for ultimate smoothness. Applied on wet skin, I gently spread a small amount in circular motions all over my face, neck and décolleté, avoiding the eye area. It foams lightly and when rinsed leaves my skin feeling fresh and renewed. On top of gold powder, it also contains witch hazel extract, aloe leaf extract, jojoba oil and alfalfa extract. Despite having exfoliating properties, from my experience this cleanser is gentle enough for everyday use without causing irritation. 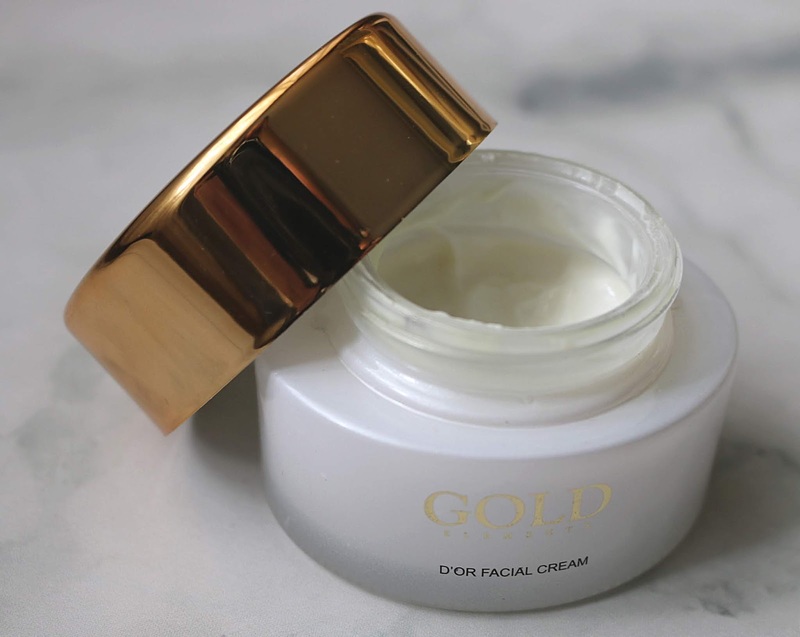 My skin is then ready for some moisturizing with the Gold Elements D'Or Facial Cream. This formulation infused with 24K gold powder coats the skin in a rich yet thin layer that does not leave the skin feeling greasy, but instead makes it silky smooth to the touch with the bonus of a radiant, glow-from-within effect. Some key ingredients of this facial cream include witch hazel, alfalfa extract, chamomile extract, linalool and eugenol. 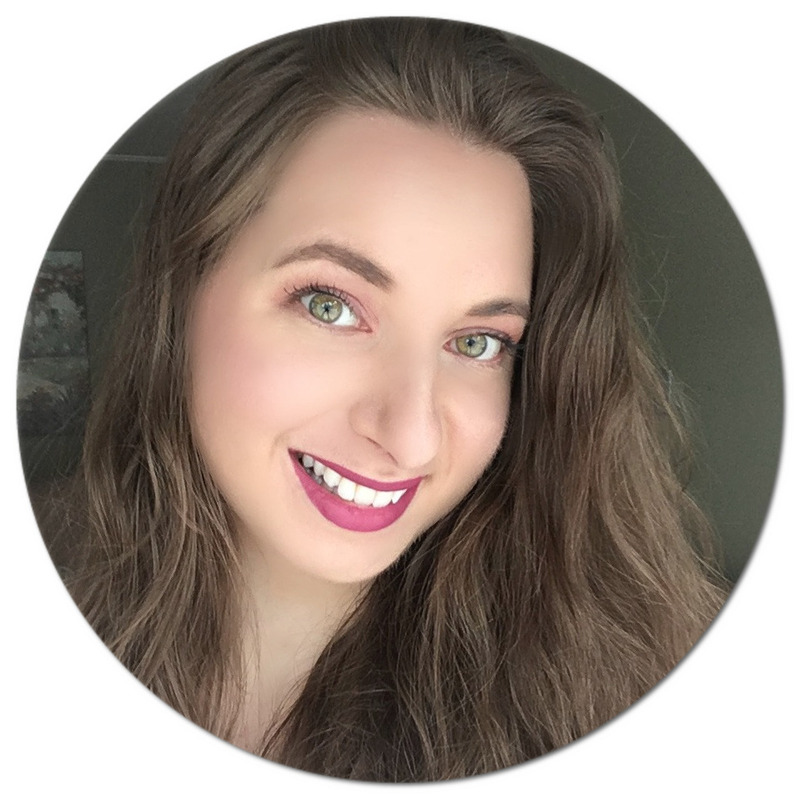 After only one use, I could not believe how healthy my skin looked and felt, and having used it for the past few weeks, I can say this cream has been a serious game-changer in my routine! 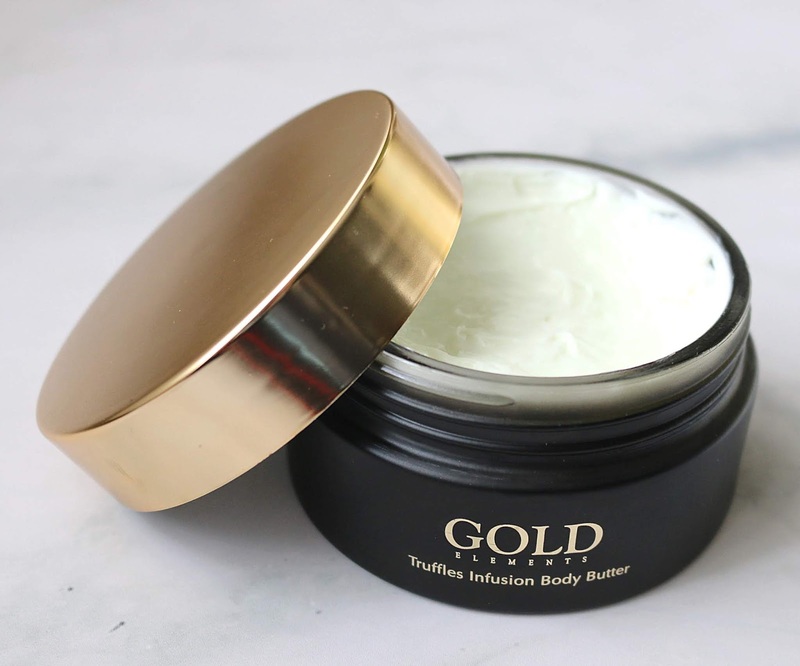 The Gold Elements Truffle Infusion Body Butter is the most divine-smelling of the bunch. Not only does it contain truffles - the crème de la crème of naturally-foraged delicacies - as well as youth-preserving 24K gold, but it also contains ultra-nourishing shea butter, scar-fading rosehip oil and soothing sweet almond oil and aloe leaf juice. It's definitely the richest body butter I have had the pleasure of trying! It leaves my skin smelling absolutely delightful, and the scent lingers, as in even 12+ hours following application. My dry skin is a thing of the past since incorporating this gem into my routine. If you are looking to treat yourself or someone special in your life to a beautiful line of skin and body care, I've got you! Use code 'Natalie15' to get 15% off sitewide at Gold Elements. Which product would you most like to try from this luxury line? *Disclaimer: This post was sponsored by Gold Elements. Affiliate code provided. Oh nice, I am intrigued. I do love the name. I haven't heard of these before, but I'm going to try them for sure! I love trying new skincare products. I have to look into giving this a try. It sounds like it would be perfect to add to my winter beauty routine. I haven't heard of this product. This looks like a neat beauty product that I need to try. I would love to try this! I love that it doubles as a light scrub, as well. It sounds wonderful. I am all for something that makes my skin feel fresh and renewed! With winter coming my skin is going to become dryer and dryer. Something like this could probably help me! Wow this is beautiful! Perfect for the holidays! Thank you! This looks like a pretty luxurious product from the name to just the look of it. It would also be a good gift for anyone this season. 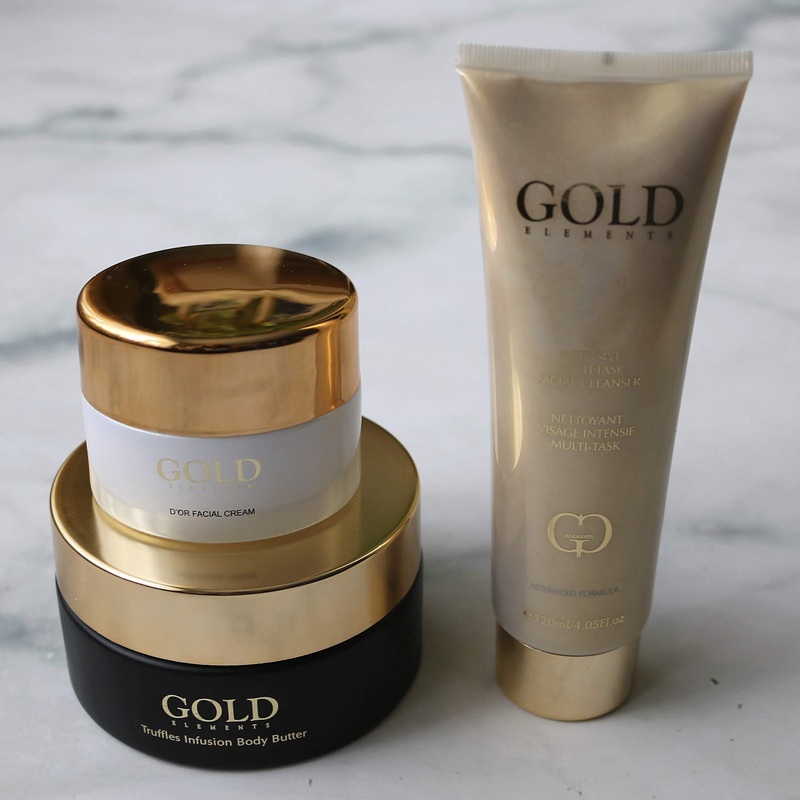 Although I am hearing about this brand right now but I think after reading this Gold skincare products would be amazing. I would LOVE to try them. Gold? I would love to try this. It just sounds like it would make me feel fancy. I haven't heard of gold skincare before. That's a really interesting thing. I love my skin and I have a huge interest in care products. This product looks worth to try. That cleanser looks so luxurious!! I may need to add this to my Christmas List! What a fun product! So decadent and wonderful to treat yourself with! I would love the facial cream. Sounds like they are amazing! Will definitely give them a try! Oh, luxurious! I bet these are amazing. I'd love to try everything! 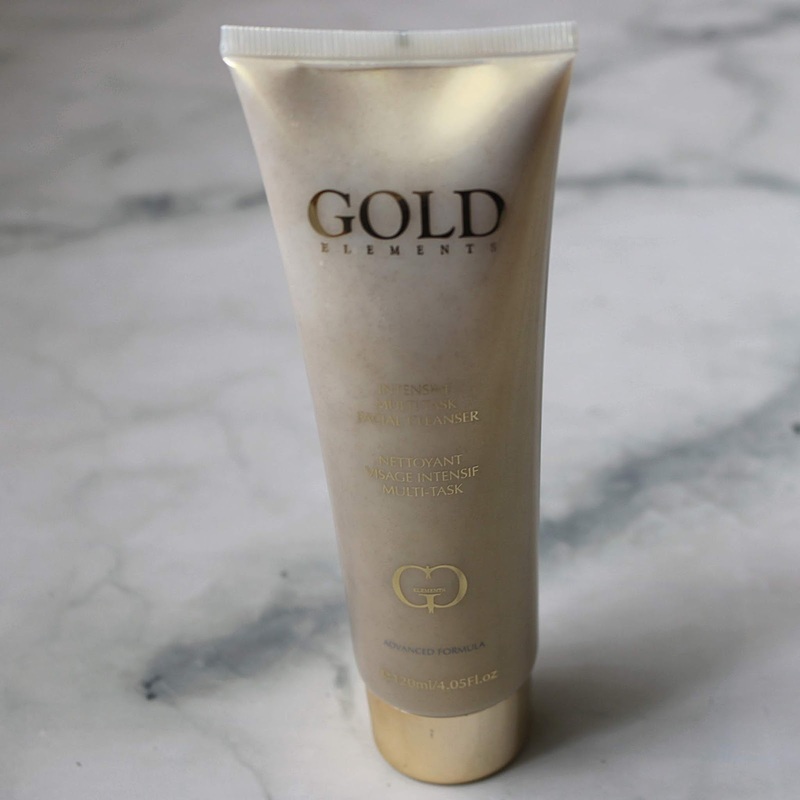 The gold truffles body butter sounds divine. My skin is already dry and cold weather has only just started here. Gold element Beauty products sounds really nice. Is it expensive. I am going to check it out. If it is too expensive I may not buy.. I guess this is a good brand and probably worth a try, i'll check and subscribe for more updates. I have been seeing more companies promoting the gold aspect in skincare. I might have to try this out. I love the packaging. Sometimes I wish my skin wasn't so sensitive so I could try other products - this one looks intriguing! I haven’t heard if Gold before but it definitely sounds cool. Especially that truffle body cream!! I have never heard of this! Thank you for sharing!! I love the concept of a gold beauty product. I bet it make one look super radiant when applied! This is a new to me brand. I would love to try the body butter and the facial cleanser. Thank you so much! I love hearing about new products!